6 reasons you need awnings now! Australians simply love the outdoors! I bet you love noting more to sit on your deck and read the paper on a Sunday Morning. However, a little drizzle or sunshine can ruin this image and force you to stay indoors. Thankfully, installing awnings around your home can be a simple solution to this problem. According to IBIS World, the Australian Window Coverings Manufacturing industry is a $732 million dollar industry, but due to weak building investments and the falling Australian dollar, the industry has been losing market share. As such, there is no better time than now to get a bargain on your awnings. As an awning manufacturer myself, in this article I will list out 6 reasons why you need awnings for your home now! The sun’s ultraviolet radiation is one of the leading causes of skin cancer, so no doubt you’re wary of being in the sun for too long. On the other hand, rain showers and drizzles can keep you from enjoying the outdoors. This is where awnings, such as those we manufacture here at Global Shade, can come in handy. By installing awnings around your home, you can enjoy the outdoors come rain or shine. Moreover, awnings will prevent sunlight from entering your home, protecting your furnishings as well. Protection from the sun is one of the most important reasons for you to get awnings as soon as possible. Whether you’re considering selling your home or you’re simply having guests over, first impressions always matter. Installing Global Shade awnings around your home will increase aesthetic value and street appeal. Modern day awnings are available in a range of styles and colour options and they will definitely add a sophisticated touch to your home. Awnings can also help you save on energy costs by reducing the amount of sunlight entering your home. During summers, they can help keep the indoors cooler, lowering your cooling costs. Conversely, during the winters, they can prevent indoor heat from escaping, thus lowering your heating costs as well. A large number of Australian households do not make full use of outdoor living spaces due to the lack of shelter. However, you need not be one of them. By adding retractable awnings around your patio area, you can expand your living space. Awnings enable you to redefine your outdoor space and create a comfortable ambiance without any renovations. Awnings also offer an excellent outdoor living space where you can enjoy entertaining family and friends. Such spaces can be used for dining, relaxing or simply having a chat. Should you wish to throw a party or a barbeque; awnings will come in real handy. Leaving the best for last, awnings are extremely affordable and offer incredible value for money. Without any renovations, you can add living space and increase the resale value of your home. Moreover, awnings offer energy saving benefits and offer great cost savings. Awnings also add a touch of functionality and make your home much more elegant. I’ve only listed out some of the top reasons for you to consider awnings, but really, there are many more. Awnings are a great investment for your home and are highly practical and functional as well. Take a look at our Global Shade awnings and I’m sure that you’ll consider having them installed, especially after you see just how affordable they are! 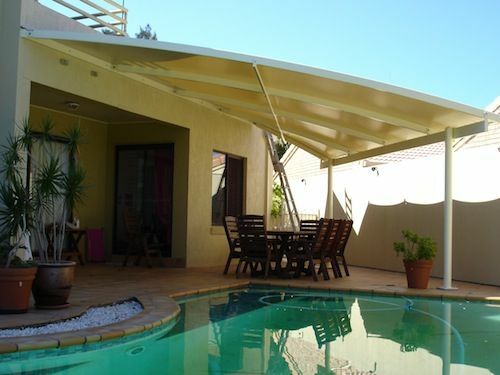 As an Australian home owner, you must consider getting awnings installed in your outdoor areas. Awnings offer all-round weather protection from the sun and rain and increase the street appeal of your home. Installing awnings also allows you to cut down on energy costs. Awnings can help redefine your outdoor space and are great for having entertaining. The best part about awnings is that they are incredibly affordable and you can have them installed without having to renovate your home. If you’re convinced and would like to get awnings for your home, get in touch with us at Global Shade. Our fine quality awnings are surprisingly affordable. We also offer installation and support Australia wide, so do not delay – get your awnings today!